Our brand new Holiday Expressions idea book has now been live for almost two weeks, and we’re thrilled you finally get to see all the beautiful seasonal papers we’ve worked so hard on getting just right. 🙂 Part of making sure our papers are absolutely perfect includes balancing themed patterns with non-themed patterns so you have as much versatility as possible when you sit down to create. Take this artwork, for example. It uses our Jeepers Creepers paper packet, which is Halloween themed, but you would never guess that it came from a Halloween paper packet, right? 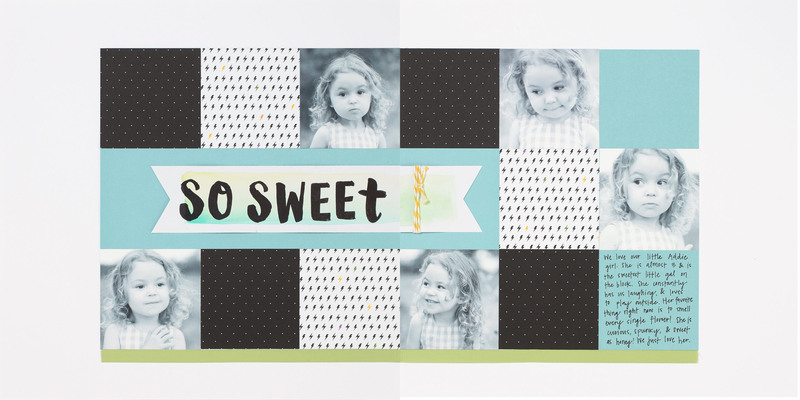 The fun lightening bolts are just the pattern for pairing with this spunky little girl. They’d also be adorable with pictures of a little boy. Now how about this one? Does it remind you of Halloween? 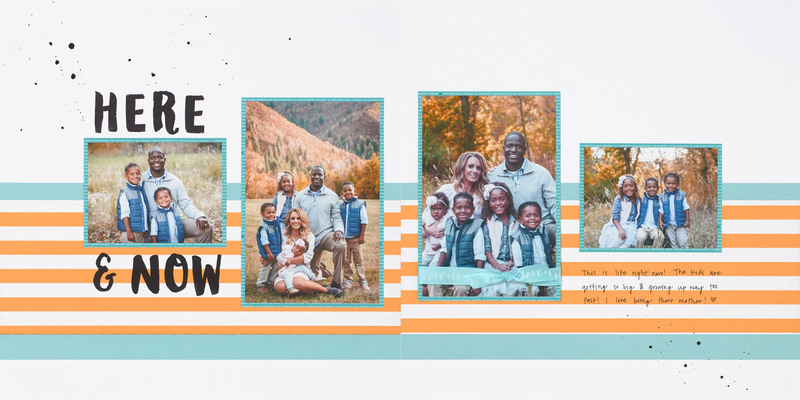 Who would have thought that this paper packet could be paired with spring photos? And yet it totally works! We paired some ribbon from our Whimsy ribbon pack with the purple Jeepers Creepers paper to give it a feminine touch. Whenever you pull out our papers to create something, you can count on beautiful themed patterns and also patterns that will work year-round. 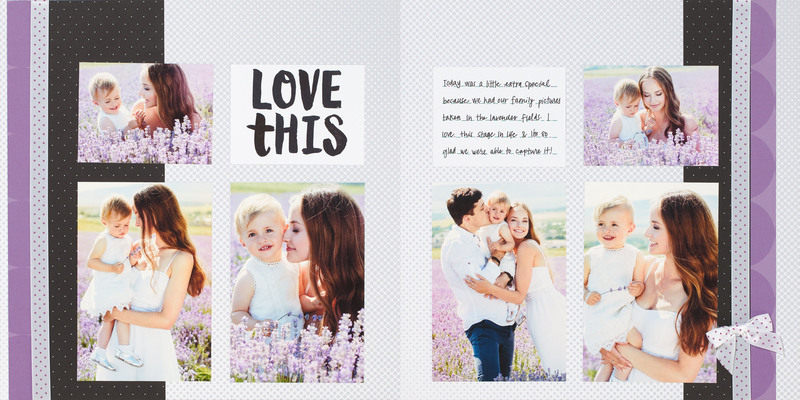 When it comes to preserving your memories, we want you to get papers with the best value that will also allow you to get as creative as you’d like!